Rena and Geoff’s enagagement session was featured on Wedding Party! We had an amazing session in downtown Ventura and on the beach! Click here to view more of the engagement session! Wow! Thanks for the wonderful photo session Chelsea! 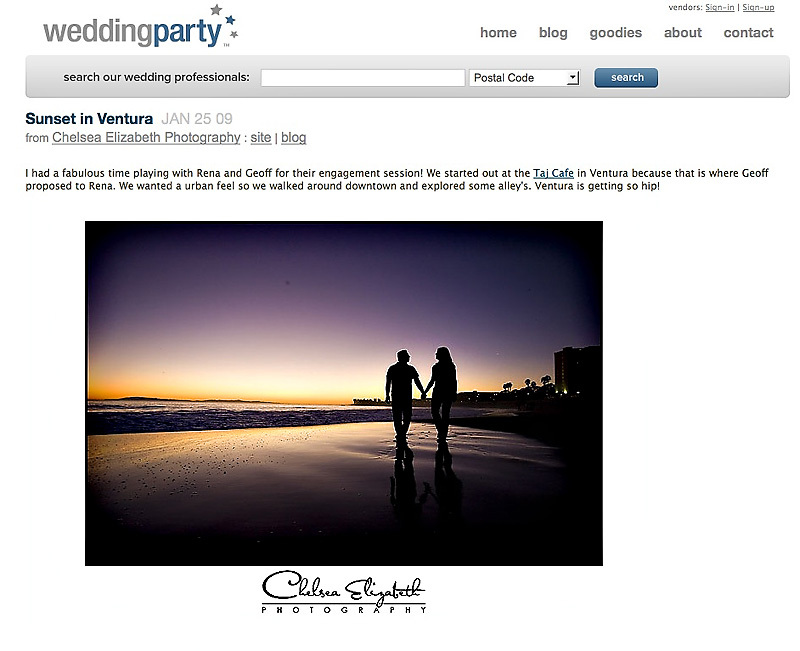 It’s awesome that it was a featured session on Weddingparty.com!!! Congratulations! This is one of my favorite engagement shoots! Maybe because I know Rena & Geoff & am so thrilled they are tying the knot. But seriously, I love what Chelsea has done with the different textures & backgrounds. It looks so great and I can tell they had fun shooting it.